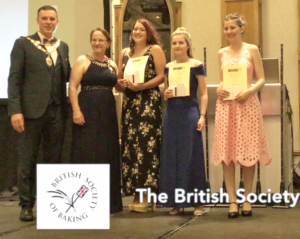 Since it was founded the British Society of Baking and its members have taken a keen interest in bakery education and training and have had many conference presentations on these subjects. These include in recent years: BSB autumn Conference 2013 Why Training Matters by Karen Taylor and Alan Clarke of National Bakery Training; Presentation on the ABST (Alliance for Bakery Students and Trainees) by their General Secretary Matthew May. BSB autumn Conference 2012 Bakery Training Courses and Their Funding by Louise Codling, The National Skills Academy for Food and Drink; The National Bakery School – Moving to a Higher Education Paradigm by Jane Houzer, London South Bank University. Presentation of the BSB Trophy to Katy Hunt, Sheffield by Sara Autton. Presentation of the BSB Trophy to Katy Hunt at the 2018 ABST Conference. From the left: Jimmy Griffin, ABST President; Sara Autton, Immediate Past President; Katy Hunt, winner,;Kelsey Young, second; and Eva Spratt, third. I am writing on behalf of the ABST to thank the British Society of Baking for sponsoring our Annual Conference this year. The event was a great success and we are indebted to the BSB and the other sponsors for your support. The students had a very rewarding conference, including talking with industry experts, entering the competitions, renewing old friendships and making new ones. The competition entries were held to be as high a standard as ever and I have attached a photograph of the winner of the BSB Tin Loaf class. The people in the photograph are, from left: Jimmy Griffin, the new 2018/19 ABST President; Sara Autton, 2017/18 ABST President; Katy Hunt, BSB Trophy Winner; 2nd place Kelsey Young; and 3rd place Eva Spratt.. Further photographs and videos of the event can be viewed at www.abst.org.uk or on the ABST Facebook page. The BSB supports the students and trainees’ body the ABST, by both helping to sponsor their annual conference and supplying the British Society of Baking Trophy for a competition for white bread, for which the BSB also donates cash prizes for the winner and runners up. Two members of the BSB Executive Committee, Sara Autton and Jim Brown also act as judges at the ABST annual competitions. 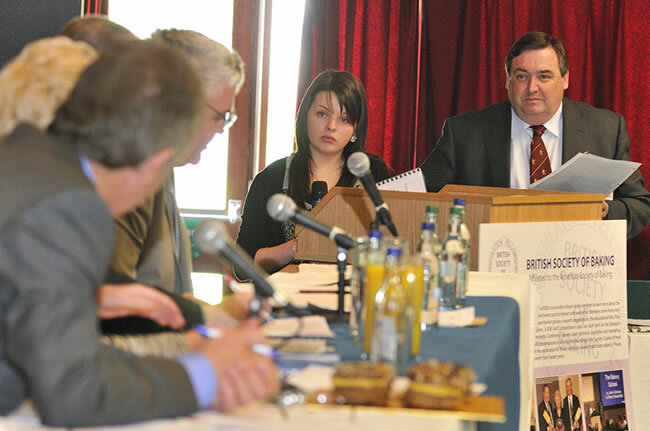 At the 2015 ABST Conference the BSB were represented by Past Chairman Sara Autton, BSB Chairman Mike Bagshaw and Conference Coordinator Jim Brown at a round table session whereby 6 – 10 students attended each table in turn to learn more about the baking industry and the employment opportunities in it. At the BSB table the students learned about the activities of the BSB and how these could help them both with their studies and with finding a job when they graduated. We also mentor students, who since the advent of the Great British Bake-off are being encouraged in increasing numbers to learn bakery. The BSB also keeps in close contact with education establishments, in particular through Past Chairman Sara Autton and Sarah Priestley, our Student Liaison Officer, both of whom graduated in baking from the National Bakery School, Sara a few years earlier than Sarah! To increase our bakery college involvement we have held two of our conferences at bakery colleges, Tameside College in 2011 and Leicester College in 2013. 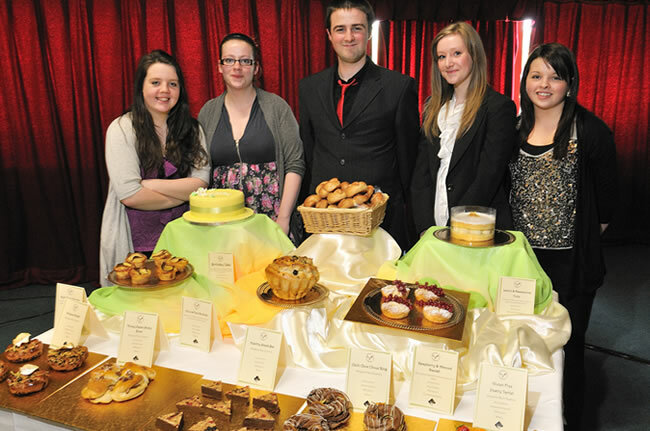 Included in both conferences was a competition entitled “A Bakers Dragons’ Den”. In this competition the students who entered had to come up with a new product idea and back it up with the product recipe, production requirements, costings and marketing. The entrants were then questioned by a panel of ‘dragons’, who were leading figures from the baking industry. The students came up with some excellent ideas and it was good experience for them in learning what was required in new product development. Many individual BSB members and members of the BSB committee, mentor students, trainees and apprentices, which is very rewarding for the mentor and the person he or she is mentoring.